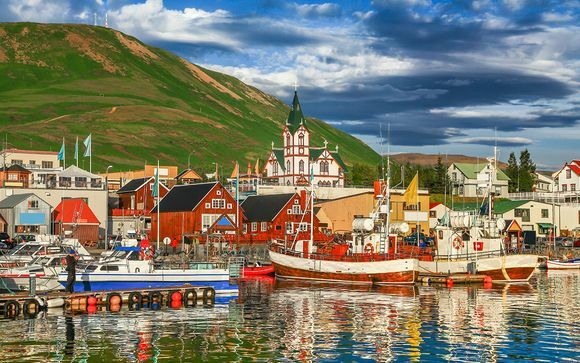 Stays in Iceland up to -70% off To take advantage of these offers, join now for free! 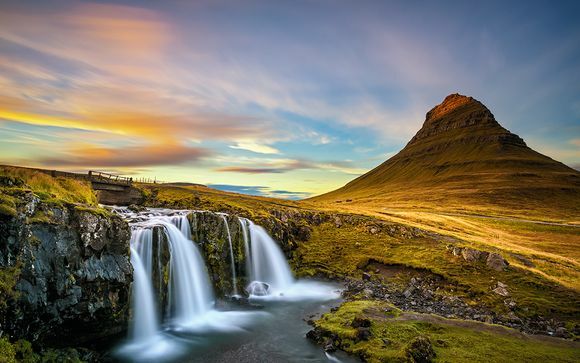 Book online and enjoy a stay in Iceland, the naturally stunning island that brushes the Arctic Circle. Located in the northern vestiges of Europe, this sparsely populated outpost is both beautiful and harsh, with icy, white glaciers framing a geologically active landscape. Iceland has a population of just 329,000, but triple this number visit the country each year, most of them to see the spectacular aurora borealis, or the northern lights. 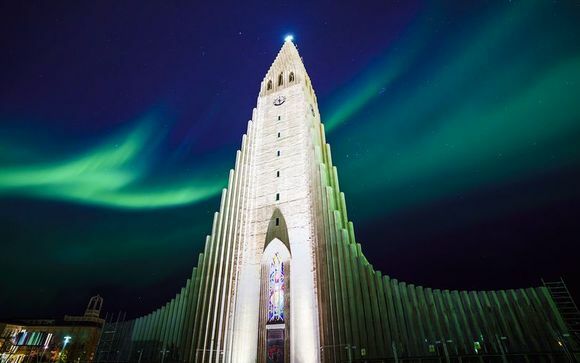 The capital of Iceland, Reykjavík, is the most popular destination for a getaway, with the city offering up a modern, urban setting, within sight of the Atlantic coastline and not too far away from the tundra and volcanic regions that dominate the almost uninhabited centre of the island. Reykjavík is home to almost half of Iceland’s permanent residents, and it is likely that the city on the country’s south-west coast will be the base for any getaway you might be planning. Unlike many other European capitals, Reykjavík is bereft of skyscrapers, with the expressionist Hallgrímskirkja church dominating the city skyline. Other points of interest in the capital include Safnahúsið, or the ‘culture house’, which houses an exhibition of Icelandic culture, and Laugavegur main shopping street. For those looking for a good nightlife on their Icelandic getaway, Reykjavík is more than accommodating, despite the ban on beer in the country only being lifted as recently as 1989! 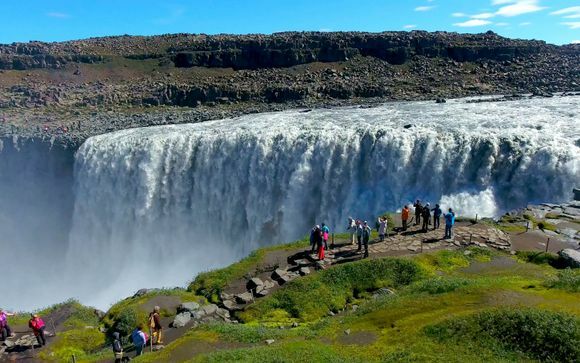 Millions of tourists have experienced Reykjavík and Iceland for the first time in recent years and, by taking advantage of our handpicked offers, you could join them in getting an initial glimpse of this alluring country. Despite its name, and its northerly setting, most parts of Iceland are relatively mild outside of the colder winter months. Early autumn or spring can be the most popular time for breaks in Iceland, as this is the best chance to see the northern lights. 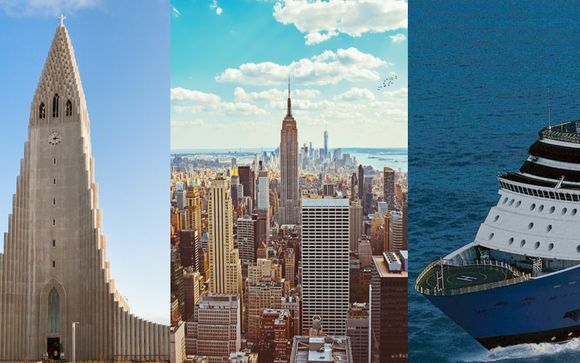 However, the country also attracts many tourists during the summer months, when, due to the Earth’s rotational axis, daylight is almost omnipresent – in June, the sun rises at 3am and doesn’t set until midnight! 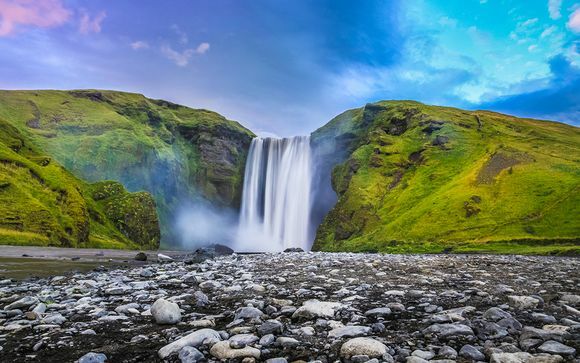 For the more adventurous of travellers, venturing outside of Reykjavík could involve a visit to Vatnajökull, one of Europe’s largest glaciers and a filming location for Game of Thrones; Gullfoss, a waterfall close to Iceland’s famous geysers; or Dyrhólaey, a peninsula home to a lighthouse, an arch of black lava jutting out into the sea and, in the summer, a colony of puffins.